b) This product can not be shipped via US Postal or any Air Shipping Method. The contents of this products are pressurized in the can and anything other than UPS Ground is not available. No Express Delivery can be made on this product. UPS Ground from New Hampshire Only. c) Because of note "b" above, we can not ship to PO Boxes, Outside the Continental USA, Alaska or Hawaii. If an order is received via one of our sales changes to a PO Box or Outside the Continental USA, we will be forced to cancel the order. Pure National Refrigerants, proudly filled in the USA. Since the phaseout of R-12, R-134a has grown to become the standard refrigerant choice for household appliances, small self-contained refrigeration units, very large chillers, and automotive air conditioning. It is also a component in many refrigerant blends on the market. 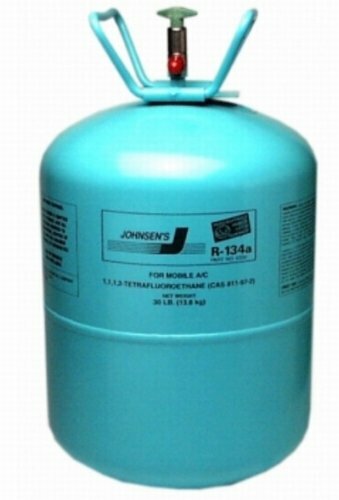 R-134a is an HFC refrigerant, which requires polyolester (POE) lubricant to be used in the compressor. Pure National Refrigerants, proudly filled in the USA.